A recent report by Cybersecurity Ventures predicts cybercrime will cost the world $6 trillion annually by 2021. Steven Morgan, editor for the cybersecurity research firm, went as far as calling it “one of the biggest challenges that humanity will face in the next two decades”. So how do you prepare for an increase in the speed, intensity and sophistication of cyber attacks? Like with anything else in the business world, knowledge is key. Which is why today we’ll look at the top 5 fraud trends for 2018. We’ll break down how they operate in detail, what is at their root, and more importantly, how to prevent fraudsters from hurting your company or business in the coming years. With over 15 million US consumers affected in 2016, identity theft and fraud is nothing new. But 2018 will see fraudsters go to new lengths in order to steal your personal information. One method we predict will become more widespread is through the use of captured online videos. How does it work? Fraudsters post fake job listings. Part of the interview process is to send a little video about yourself. Or maybe it’s a Skype meeting, which they record. Regardless of method, they manage to make you talk about yourself on screen. And once the video capture is in their hands, they use it to open an online bank account, which they can pillage or sell to shady organizations for money laundering. One frequently used buzzword in the banking world these days is “frictionless experience”. As banking institutions compete for the attention of a younger, tech-savvy generation, they shift their focus from offering interest rates, and focus on ease of use. In short, it’s less about the long term benefits than the sign up process. Video ID verification is just one of the latest tools they employ to facilitate this frictionless onboarding. Like with any other identity-theft prevention: be vigilant. Keep in mind that digital information is just as valuable to fraudsters as physical paperwork. And be especially on guard when it comes to submitting personal information via video, recorded or streamed. From troll factories to fake news, the digital world is under growing pressure to fight the spread of fake accounts for promotional purpose. Twitter, for instance, recently responded to an enquiry by US federal and state authorities by deleting more than 1M users from its platform. But as technology becomes widely available to create fake accounts with increasing ease, 2018 is likely to see a surge in fake accounts. From shady organizations to unscrupulous business owners, there are tons of reasons to create fake accounts. It could be to improve SEO or to push a political agenda. In any case, the filters in the online world are still flimsy at best. According to Jonathan Taplin, Director of the USC Annenberg Innovation Lab, fake news pushers during the last US election used only three tools: a Google Adsense account, a blog and a Facebook account. A two-pronged-attack. On one side, genuine users should benefit from a number of tools to report fake accounts. On the tech-side of things, algorithms must be put in place to restrict the creation of fake accounts by flagging unusual activity patterns, like with a spam filter for online activity. Not much really, as this is more a continuation of machine-learning’s meteoric rise. One of the key components of a machine-learning system is that its results and efficiency improve over time, as it gathers more data and refines its rules. In 2018, the years of engineering and millions of dollars poured into R&D over the last decade should continue to pay off with an exponential success rate. Fraudsters diversified in 2017, targeting a growing number of industries such as travel, electronics, and online fashion retail. This trend is expected to continue, which means online services – and ecommerce in particular – have every interest to put smart, scalable solutions in place to detect fraudulent patterns. Quite simply get informed about machine learning. See for yourself where the tech delivered results. Not all AI-driven software is created equal. As a highly technical specialty, it’s easy to be sold snake oil. For instance, ensure your provider can demonstrate exactly how the product works, and check it’s not a black box system. The more confident you are in your ability to understand the system, the better value you will get from it. The number of avenues in which fraudsters can get creative with affiliate scams. One recent example includes a playlist-maker on Spotify, who managed to game the royalty payment system through the use of fake artist accounts. According to an investigation by Music Business World, the scammer is believed to have received payments of up to $1 million dollars by streaming files to non-existent users. The affiliate marketing industry is expected to be worth $6.8 billion in the next five years. Similarly, industries heavily reliant on affiliate links like continue to grow (online gambling, for instance, by an average of 9% per year). With so much money flowing online based on clicks and commissions, you can expect more loopholes to be discovered and exploited by fraudsters. If you manage a platform that pays affiliate commissions, your best bet is to implement a fraud-prevention solution as early as possible. Fraudsters play a constant game of cat and mouse with affiliate marketers, and integrating a detection system within your workflow can go a long way in helping you get ahead of potential scams. The European Commission’s new initiatives is taking some of the power away from major banking institutions. The Revised Directive on Payment Services (PSD2), designed to increase competition and involvement in the payments industry, continues to level the playing field. Unfortunately, this also means an increased risk of fraudulent activities. Once payments move through open APIs, it will become much harder to prove liability in case something goes wrong. Non-banking entities continue to enter the world of online payment solutions. They offer a faster, friendlier and more agile way to pay online, on computers and smartphones. Acting as middlemen between users and banks, they can tap directly into financial institution’s APIs for access to data infrastructure and customer accounts. For banking institutions and third-party payment providers, it will become a balancing act between security and user experience. The optimal approach will lie in adaptive authentication to monitor all the relevant risk factors, without sacrificing a customer-centric approach. Fraudsters and those trying to prevent them are locked in a constant game of one-upmanship. 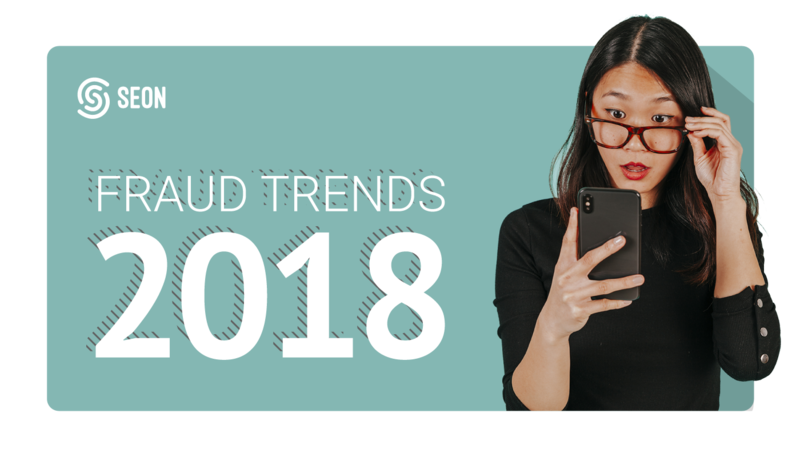 As you’ve seen in the five trends mentioned above, fraud isn’t likely to go away in 2018, but it will sure take on a different form. Different tools, different methods, different skills. The good news is that the good guys are moving just as deftly. Thanks to new advancements in technology, and machine-learning in particular, it’s easier than ever to integrate fraud-prevention systems that are preventive, adaptive and effective. And best of all, you would be implementing a future-proof solution that improves over time, ensuring your company is prepared for the fraud trends of many more years to come.